Indisputably, the weekend starts at 5 pm on a Friday. And although I love the weekend, Fridays themselves have never been that special for me. Friday nights were usually just another quiet evening spent at home or out running errands; and there’s nothing remotely weekend-ish about that! But the past few weeks, a friend from work and I have been going out on Friday after work. After a hectic day of answering phones and advising customers for her and cleaning cars and driving about for me, we go out for supper and a visit. It’s brilliant to socialize and spend time with a friend, and it’s also nice to have the opportunity to switch from my grubby work clothes to something more polished! Last night we went to get our nails done professionally– a first for us both! And since it was something of a girls’ night, I wanted to look put-together; but I’d just spent nine hours on my feet in a hot garage and I also desperately needed to be comfortable! So I went for a casual yet vintage-inspired look, including denim capris mixed with modest peep-toe shoes and an olive green puffed-sleeve top. Vintage pearl jewellery added a touch of class and sophistication, and my choice of nail polish also complemented the outfit. It was my favourite, fail-safe, yet timeless shade of deep red which makes me feel very Forties indeed! Now I think I’m making the most of my Fridays, and I can’t wait for next week! Although I’m not an outgoing person and have, for this as well as other reasons, chosen to pursue the lonely craft of writing, I really enjoy going out and doing things. By “things” I mean attending car shows, farmers’ markets, antique shops, or even just going for a drive on a pleasant day. Whenever I go out, interesting things tend to show up; and I’m always fascinated by new and unusual things. 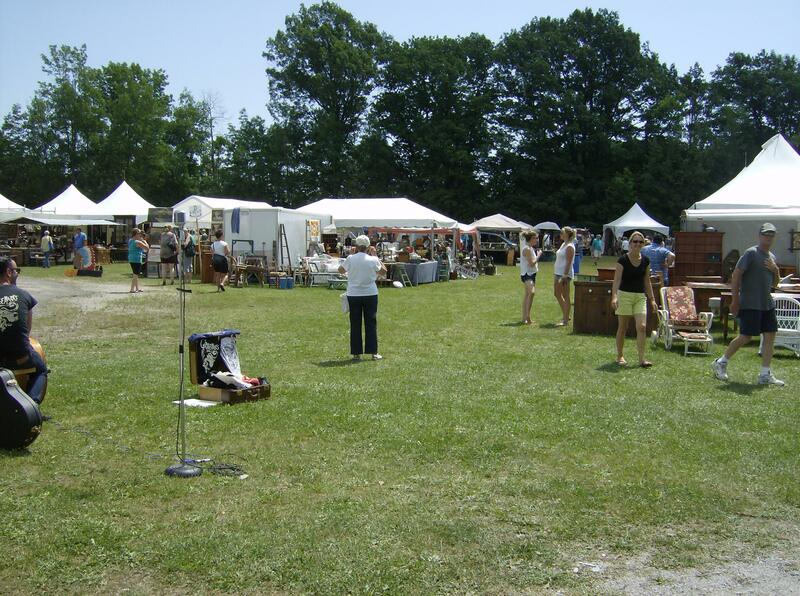 A few weeks ago, my mum and I went to an antiques market in nearby Orillia– markets like these seem few and far between in the area. Given that, I wasn’t expecting anything huge or sophisticated; I was just excited to attend a celebration of everything antique and vintage! But the market was a surprise, it was far more varied and extensive than I expected. There were dozens of stalls, but as my mum and I arrived fairly early in the day, we didn’t have to compete with too many other customers! My experience at the market was wonderful– everything was so lively and exciting! Antiques offer a glimpse into the past, and thanks to technological advancements and changes in lifestyle over the years, one is bound to find things that just aren’t seen anymore. Those things, like pretty floral chamberpots or antique washboards, are fascinating; but of course all I really look for is anything pertaining to Russia, the Soviet Union, or the military. 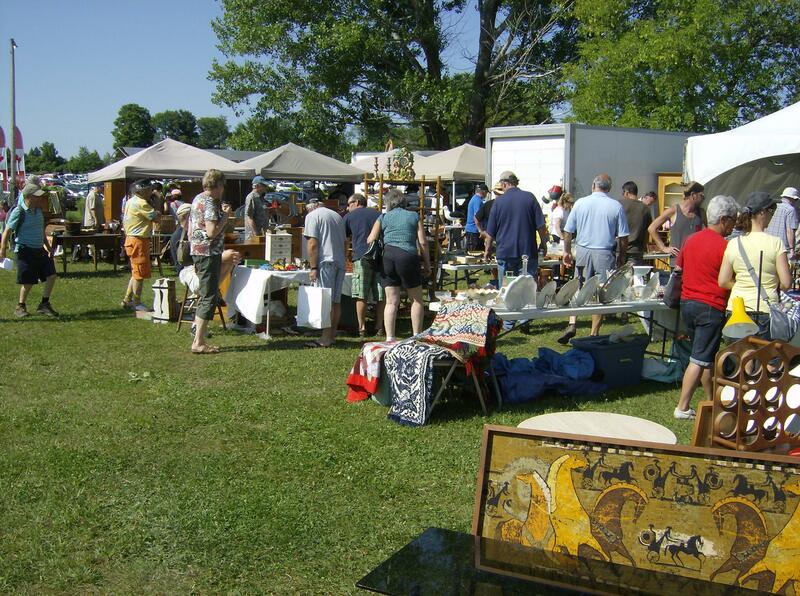 I never thought that an Ontario antiques market would be a hotspot for such things, but I was very wrong. 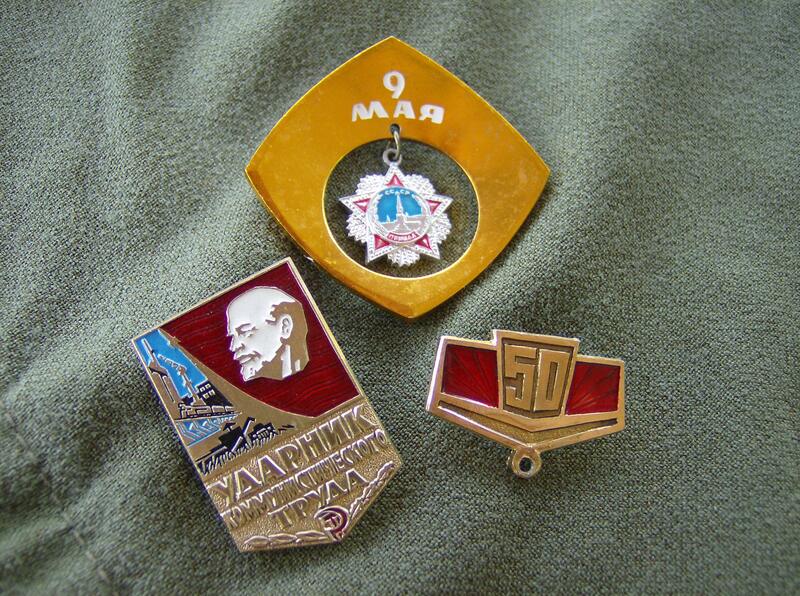 I came away from the market with empty pockets, but a handbag full of no less than three Soviet military hats plus about two dozen Soviet pins! I got a great deal for them, and now I have a fabulous collection of pins which I am looking forward to adding to in the future. 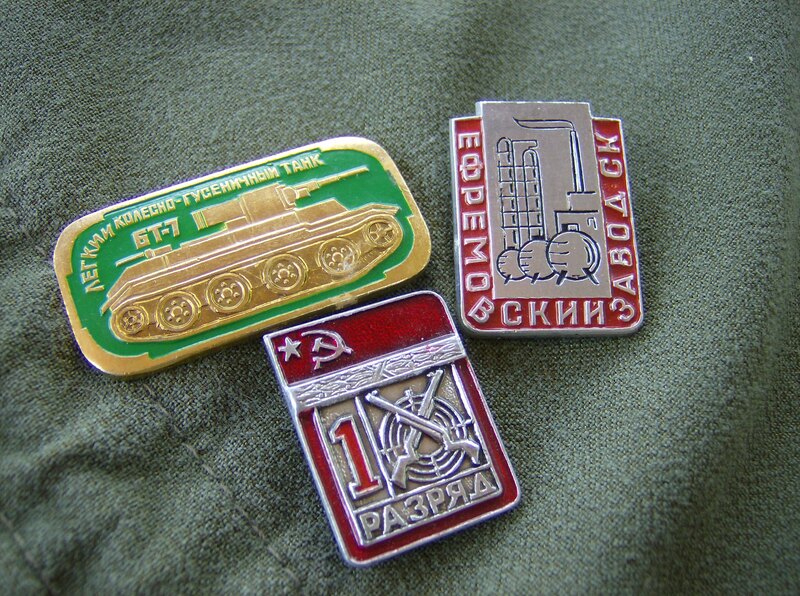 The BT-7 pin at top left is one of my favourites, and it pays homage to a tank that featured heavily in the Spanish Civil War and Great Patriotic War. Now onto the hats. 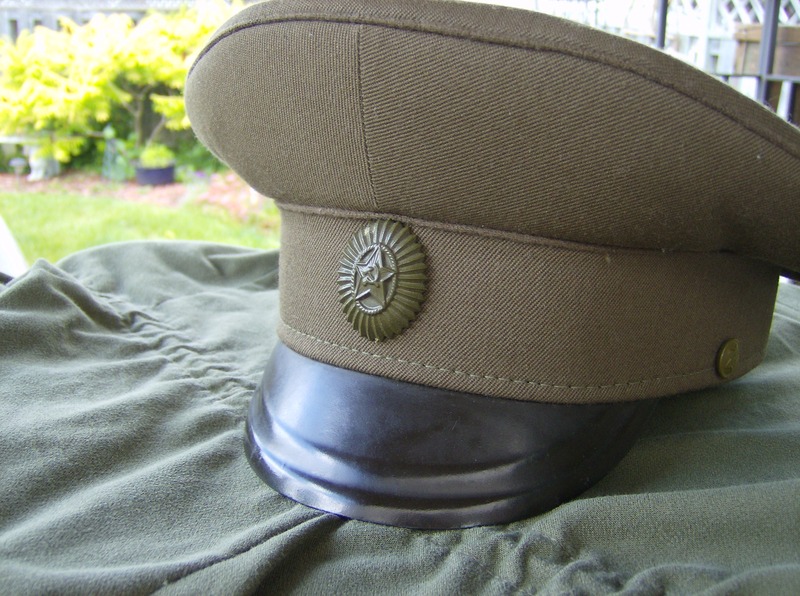 I chose one peaked cap with a camouflaged emblem out of a collection of eight or nine brighter versions, because although the others with their red piping and embellished emblems were more attractive, this one could be worn safely anywhere due to its dull colours. Usually I only see hats like this in museums, but now I have one of my own! 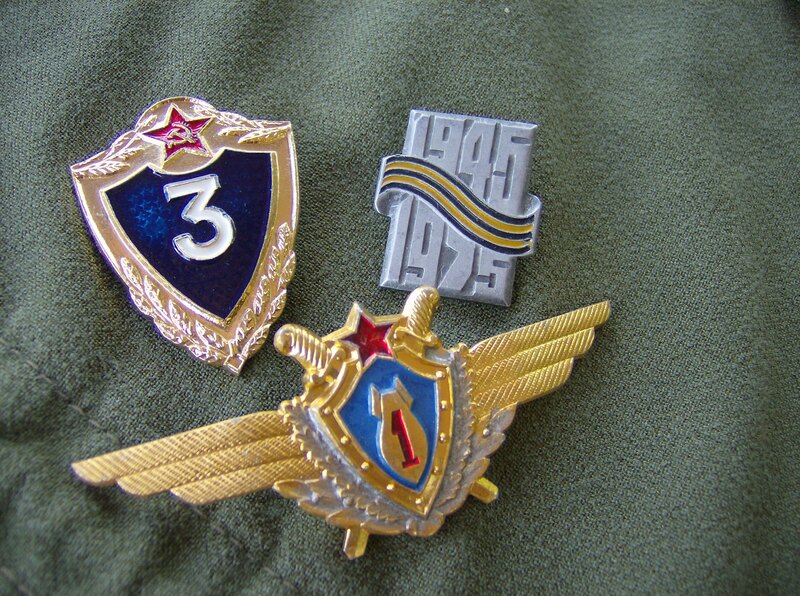 The second hat I got was a real pilotka. 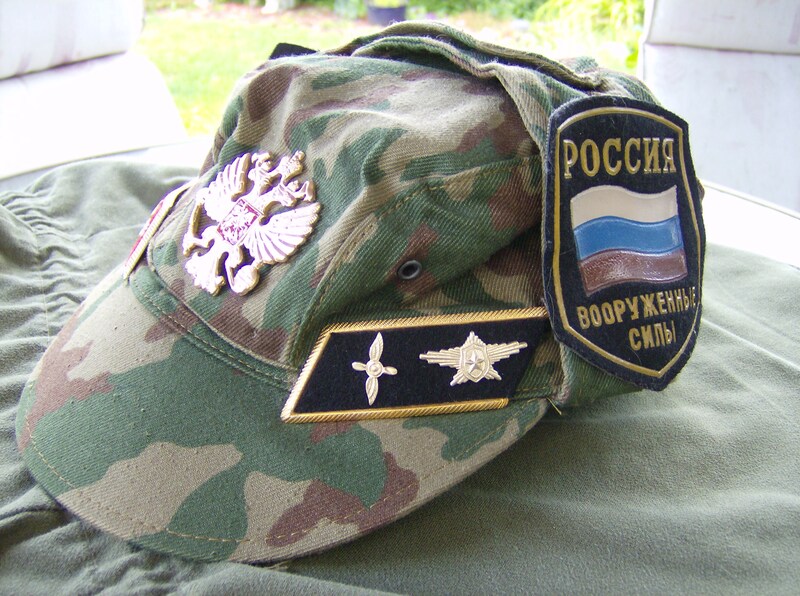 It’s like the sidecap utilized by countless militaries across the world, and for me the simple green pilotka is a symbol of the average Russian soldier during the Great Patriotic War. Vainly, I’m quite pleased with my pilotka since one of my novel’s central characters always sports one! 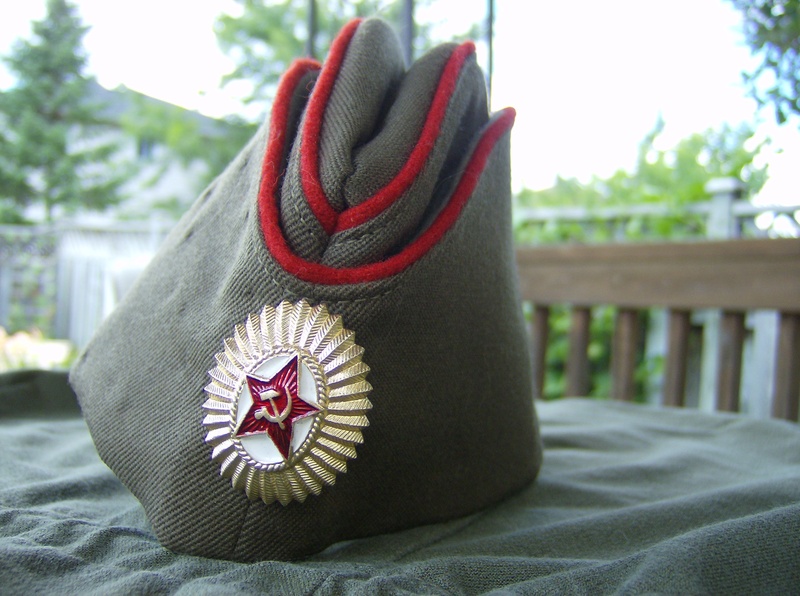 Last, I got a hat which the seller believed to be from Poland or Eastern Europe, instead of specifically Russia. 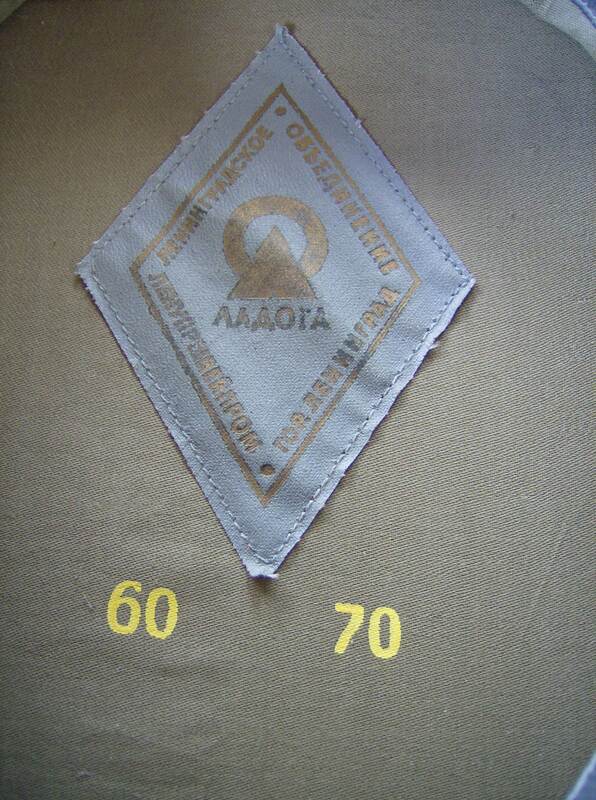 Nonetheless, it came with the distinctive Russian coat of arms on the front and Russian badges on the side. It’s a very functional hat as the flaps on the top fold down over the wearer’s ears; and it looks very familiar to me. I may have seen it in a book somewhere! 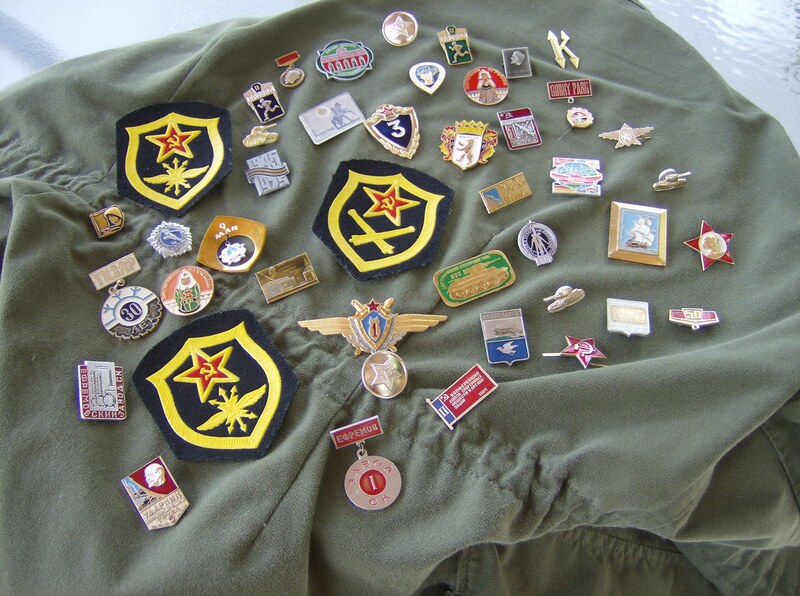 When I go to antique shops and markets, I’m always excited to see vintage rhinestone jewellery and the like– but in the back of my mind, I’m just waiting to find something military. Usually it happens, but it’s still always a surprise, and I’m so grateful to have found so many treasures so close to home! If not for that, I’m same as he. I slowly count to three. If he even heard it. And begin my search for more. I wrote this poem last week, after pondering how Vasily Zaitsev (one of the Soviet Union’s most prolific and talented snipers) was a successful hunter before his wartime service. The Grey Ghost compares the experience of a sniper to a simple wolf-hunt; in doing this, it strives to illustrate the detachment and irony which often stem from war. Throughout the years, the monarchy in England has not only set laws but also fashion trends. Elizabeth I encouraged the obsession with pale skin and tiny waists in the 1500s; and nowadays newspapers, magazines, and TV programs are full of references to the Duchess of Cambridge’s influence. It seems that nothing Kate wears fails to sell out! And while Kate does have a wonderful sense of style, I must say that I still prefer Her Majesty the Queen’s fashion choices. Even at 89 years old, Queen Elizabeth II is always impeccably dressed– she looks as distinguished and fashionable as she did as a young woman. I admire Her Majesty greatly; and for reasons other than the vain one of fashion. This outfit is inspired by the Queen’s style at Sandringham, where she can be seen riding horses and driving Land Rovers. I find it admirable that she looks just as well put-together while enjoying the outdoors as she does at fancy state functions! Riding trousers and a smart Burberry blazer are the foundation for this look, which is livened up with glimmering vintage jewellery and an appropriately equestrian Hermes scarf. Riding boots and a leather handbag mesh well with the general humility of the outfit, and deep green nail polish is an homage to the beauty of England’s countryside. I think that Her Majesty has been a proper style icon for over six decades, and this ensemble shows why! 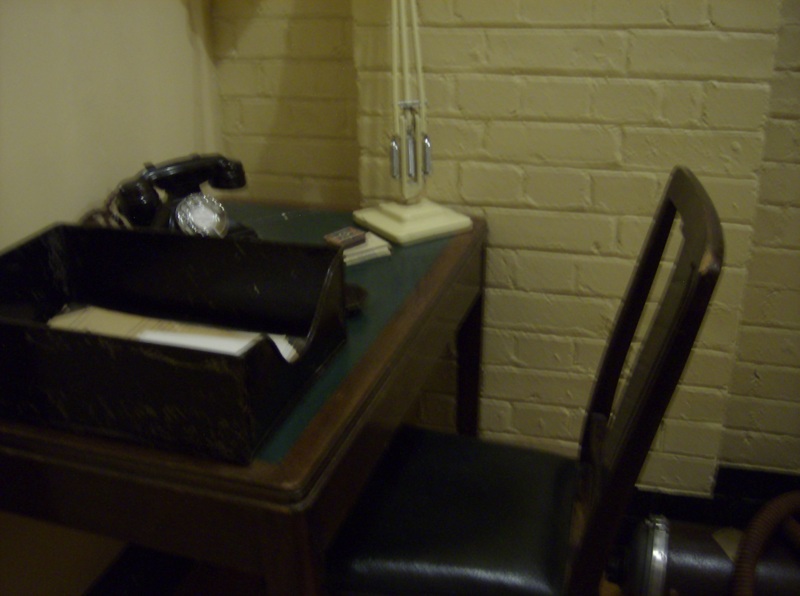 As Part One of this series attests, the Churchill War Rooms in London are a fascinating attraction for history buffs, Churchill admirers, and families alike. I particularly enjoyed them because of their focus on a distinctive and important historical figure, and– as you’ll see in this post– their enduring atmosphere of the Forties. 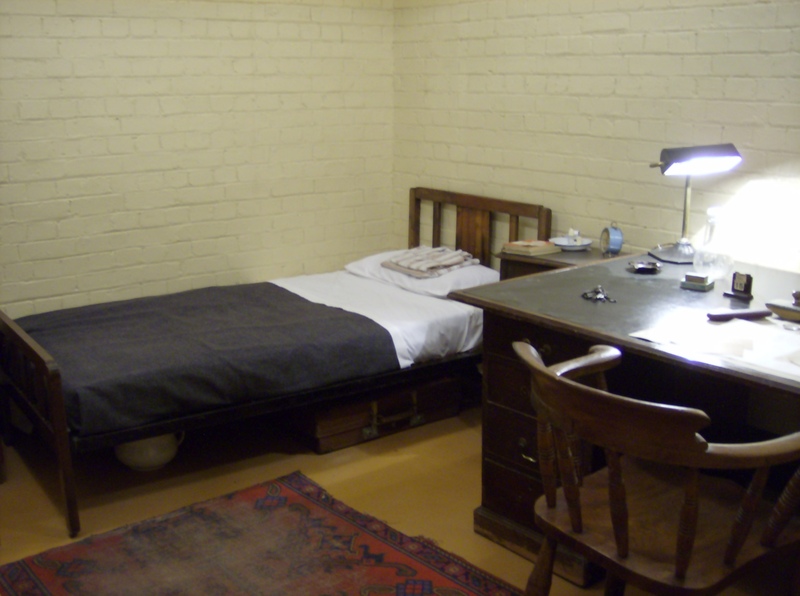 The War Rooms remain almost exactly as they were at the height of the war; with bare yet practical fixtures and few decorations even in the bedrooms prepared for various politicians and government workers. But I love the practicality of ’40s interior design, and seeing these rooms made it easier to imagine what the atmosphere of war must have been like. Most of the bedrooms were essentially identical, with simple wooden furniture, a navy blue bedspread, and no unnecessary luxuries whatsoever. But one bedroom had a bit of individuality– it was the room set aside for Clementine Churchill, the wife of Sir Winston. The rest of the rooms were for work, not relaxation. The conference room for the Chiefs of Staff was unadorned but had an imposing atmosphere. Amazing to think of the plans and discussions that must have occurred in this room! One of my favourite rooms was the map room. 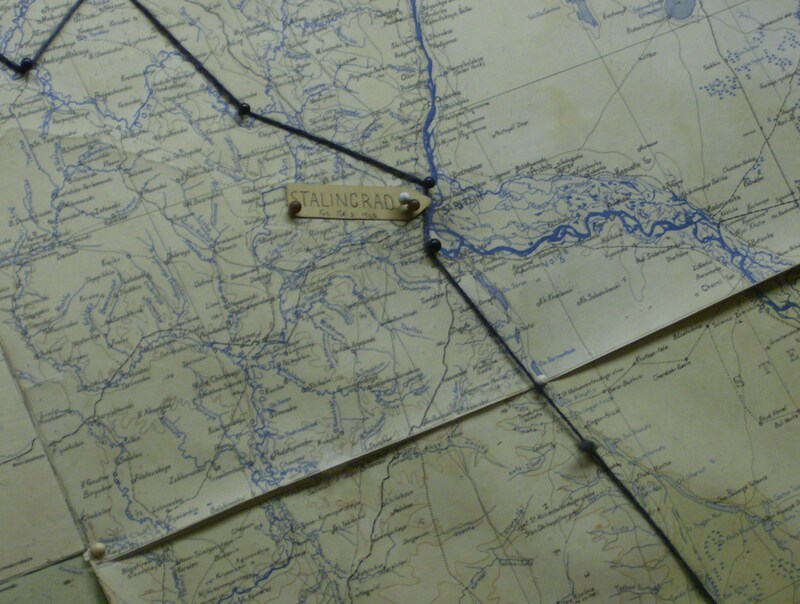 As you would expect, it contained maps– they plastered the walls, and the maps themselves were plastered with pinholes and strings to denote the location of various fronts, convoys, and units over the progression of the war. The maps were very beautiful, and it was rather breathtaking to see all the events of the war represented in one single room which was so important in WWII. 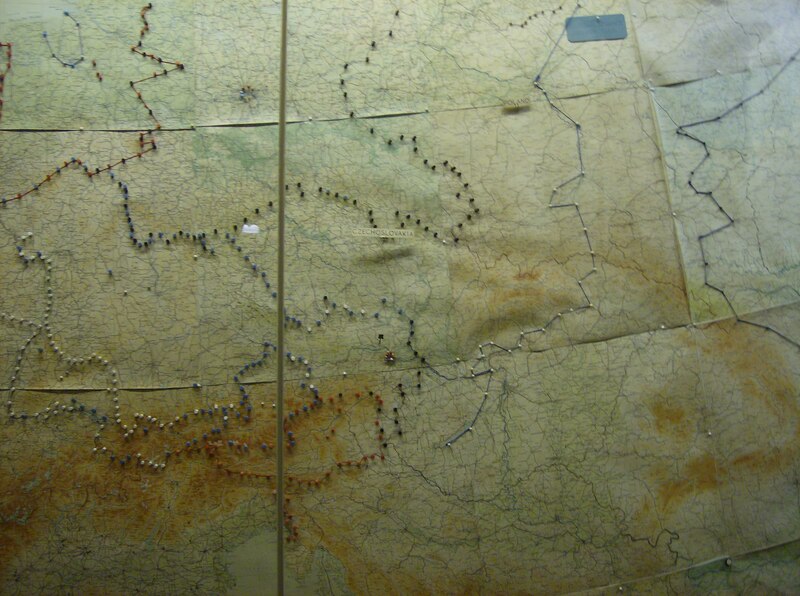 This section of the map shows Eastern Europe and the Soviet Union– significant to me because of my writing! I made sure to find Stalingrad on the map, since it was at Stalingrad that the Germans went no further. 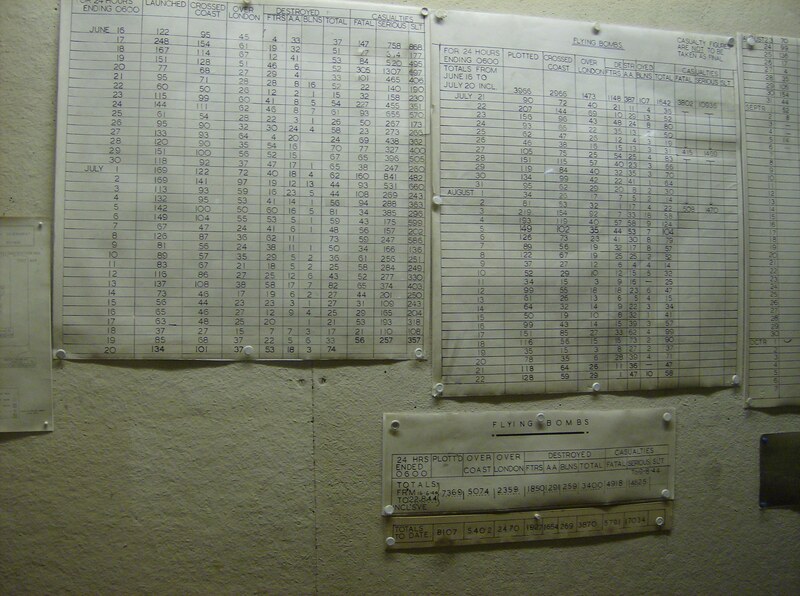 A detailed tally of flying bombs was kept in the map room– the War Rooms were really on top of everything! 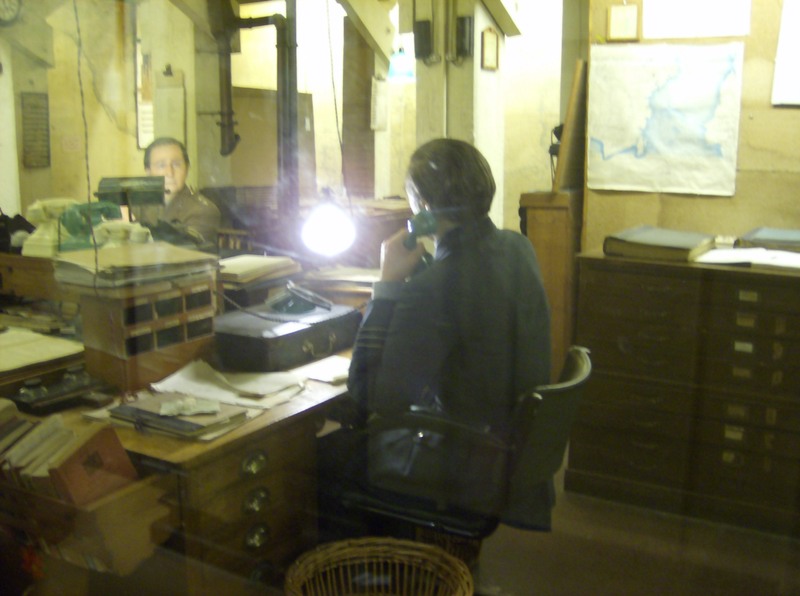 The authentic atmosphere, kept so close to what it was 70 years ago, really made the Churchill War Rooms something special. 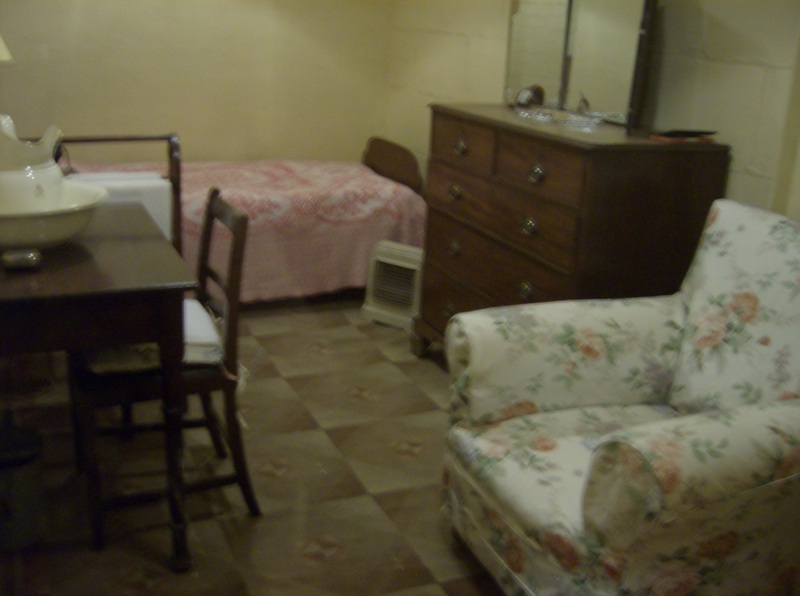 It was quite moving to be there in the corner of an old-fashioned room once all the audioguide-led tourists had passed by; and to just think of the history that came to pass there. 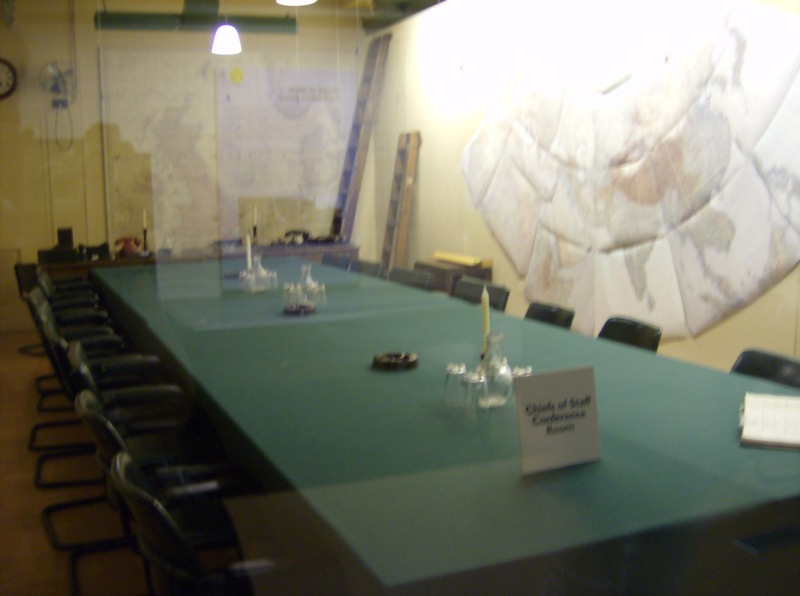 I loved the War Rooms, and would go back there any day!